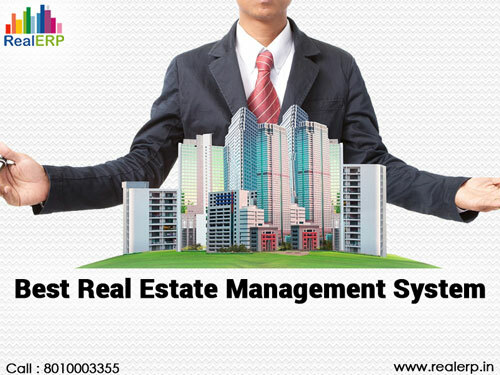 What is Real Estate Management System? A software that manages the business more significantly and offers benefits including, effective decision-making, improved response time, better data synchronization and which is cost-effective also, called as Real Estate Management System. There are numbers of real estate solutions, but the goal of these are same. They all helps the real estate owners to promote their business and in making more profit. The real estate business has been expanding rapidly in last few years. It is becoming competitive with more complex environment. There are various ways to handle difficult residents, an undesirable challenge for any real estate manager. The real estate agents are failing to deliver the right services and products to their customers. Now people wants everything on their fingertips and wish to have an interactive, robust and powerful platform to access the real estate property and data. There are various types of Real Estate Management Software in the market such as lead generation software, property management software and b2b lead nurturing that can seriously help the property sales agent to carry out their duties. Real estate agents also wants a software that can regulate their sales, purchase and invoice process efficiently. How to choose the best system? 1) Focus on what you exactly want: People can do two mistake while choosing the software, first one is selecting the cheapest software that has defects and doesn't fit their needs (thus wasting money and time). Second mistake is to purchase the software that is inflated to their needs. 2) Select Classy features: Always choose high-class features in your software like remainder system for keep track of appointments, log conversation and interaction with tenants and automatic amount posting to each ledger. 3) Under your budget: Please keep in mind if you are going to purchase a software for your business that it best suites your requirements and under your budget. Do not buy one which is worthless and stressful to you. Very interest and informative blog, I can not help myself reading the complete blog...Thanx for sharing..!! nice blog you have posted .It is really very useful. I am a regular reader of your blog.. you really posts very beneficial posts. Great work....i will wait for your next blog. Its really great information....it will help us lot. This post is really nice and pretty well maintained. Thanks for it and keep updating the post. This blog has helped my clients in choosing one of the best ERP for real estate. StrategicERP has been providing real estate ERP solutions to more than 250+ consumers. Our real estate ERP solution is the best option when it comes to managing your real estate business process in an easy way.
. StrategicERP has been providing real estate erp software solutions to more than 250+ consumers. Our erp software for real estate is the best option when it comes to managing your real estate business process in an easy way. Good to know about best real estate software.